Taco Bell has been teasing the release of the Quesalupa. After trademarking early last year, and testing it out a few months after that in Ohio, the Quesalupa is ready for primetime. 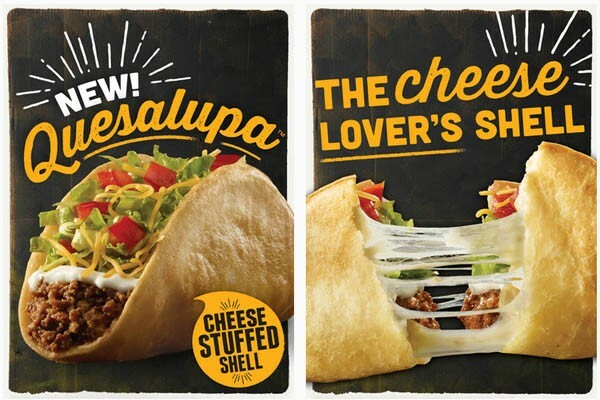 In case you don’t know, the Taco Bell Quesalupa is basically chalupa with beef, cheese, lettuce, and tomato, but instead of the chalupa shell, the shell is a full of melted cheese. Taco Bell has been teasing the release of a new item as the “biggest launch to date” with the marketing campaign culminating with a Super Bowl ad spot on February 7th. 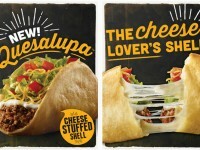 We’ll keep you updated with news and our review of the Quesalupa as finally as it hits stores nationwide.